Get a phone number to make your business more reachable over the phone. Global Call Forwarding provides phone numbers in more than 140 countries with local area codes and toll free prefixes. This is an affordable solution to make your business more accessible to customers. Once you identify your target markets, you can get a phone number for your business and answer the calls anywhere. Calls can be forwarded internationally to virtual call centers, landlines, VoIP, or even your mobile phone! Global Call Forwarding provides virtual phone numbers which are activated to forward incoming calls. Virtual phone numbers are also referred to as DID numbers. Subscribers can get a phone number with any combination of area codes, country codes and dialing prefixes. Get a phone number to forward the incoming calls to any preset destination. Our service will automatically forward calls internationally to one or more numbers. The settings and advanced call forwarding features can easily be managed from an online control panel. Anyone can get a phone number with a local area code and the possibilities are limitless. A local area code will undoubtedly increase the number of incoming calls to your business and customer satisfaction. A local area code will undoubtedly help your business expand virtually and project a local presence. Calling a foreign country can be a complicated ordeal, with country codes, confusing area codes and unfamiliar dial tones. Get a phone number and eliminate any barriers to doing business. You can get a phone number in more than 140 countries and even choose the area code! Global Call Forwarding will activate your phone number and forward calls internationally. For instance, customers in the United States are more likely to call a US number than make international calls. This is because people prefer dealing with businesses that appear local, which raises your likelihood of getting a call from that specific place. The best part is you can get a phone number with a local area code in thousands of cities, while answering the calls anywhere in the world! Get a phone number for your business and never miss another call. The cloud-based service will help your business manage incoming calls more efficiently. There are various free available features so that you can seize every opportunity. Time-of-day routing lets you forward calls to different numbers, depending on the time of day. 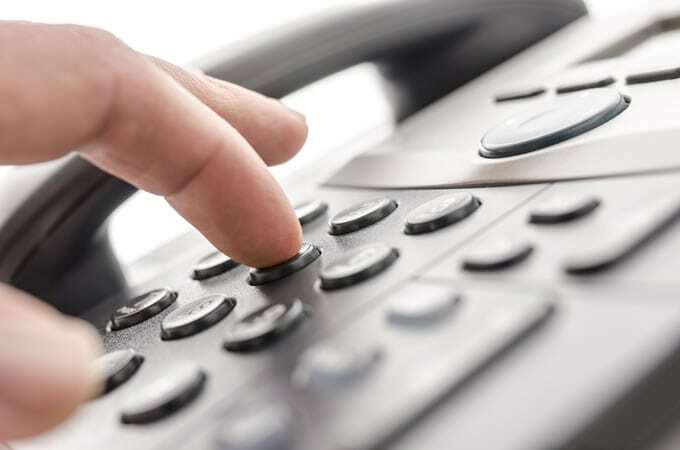 An IVR system will handle incoming calls for you automatically. Not to be forgotten, the voicemail can route important messages to your email inbox. This service will make sure that you do not miss a beat from your customers. So, don’t fret about missing any important calls from customers, clienteles or salespersons. When you are busy or out of reach, just take it easy and know that your smart phone number has got you covered. Another free feature that you will get is simultaneous/sequential ringing. Your business can benefit from being able to forward incoming calls to ring on more than one phone at the same time. Or, it can ring down an entire list of precisely particular numbers they’ve selected. This permits you to never to miss a call, and these calls get forward to office extensions, customer service, support, or sales. Small, medium or large, the results will be positive when you get a phone number for your business. It can help your business expand internationally and set up a virtual office anywhere. Most clienteles or customer will feel more comfortable dealing with an establishment or venture that has a local number. In addition to projecting a local presence, you can easily route the calls to a number of places anywhere in the world. Common forward-to destinations are mobile phones, virtual call centers, business phone systems and landlines. Run your business from anywhere and manage the flow of incoming calls from your cell phone. If you are out of the office, you’ll have the option to reply to an incoming call, forward it to a capable member of staff, or direct the phone call to the appropriate department. Corporations which have representative or workers in another area or state can get a phone number in that area and forward the calls to headquarters. This will improve efficiency and reduce costs. Global Call Forwarding can help you get a phone number for your business. The number can be activated instantly, and you can start answering calls from anywhere, almost right away. Global Call Forwarding has a huge inventory, and you can choose from thousands of phone numbers. Our staff is on hand 24/7 to provide free consultations and to assist with account management.